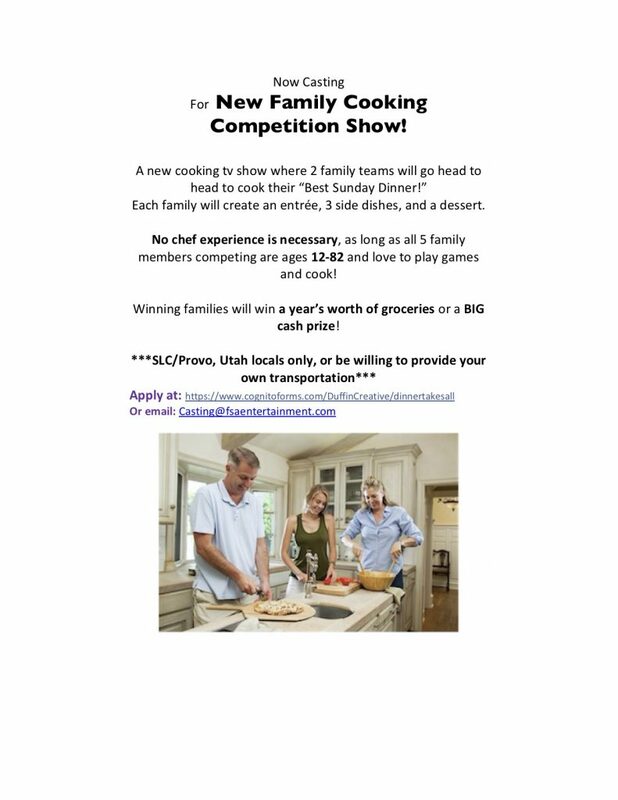 Brand new cooking competition show is coming to Provo! Each family will compete as a team making an entrée, 3 side dishes, and a dessert…..all while competing in all kinds of food centric games! Family team members of 5 can be comprised from a range of family members: from grandparents, to cousins, to aunts or uncles, or even close family friends. No chef experience needed! Must be ages 12-82! Winning families can potentially win a year’s worth of groceries or a BIG cash prize! Must be a Utah local, or willing to provide your own transportation to the studio. The show is now casting and will be taping for several weeks in September 2018.